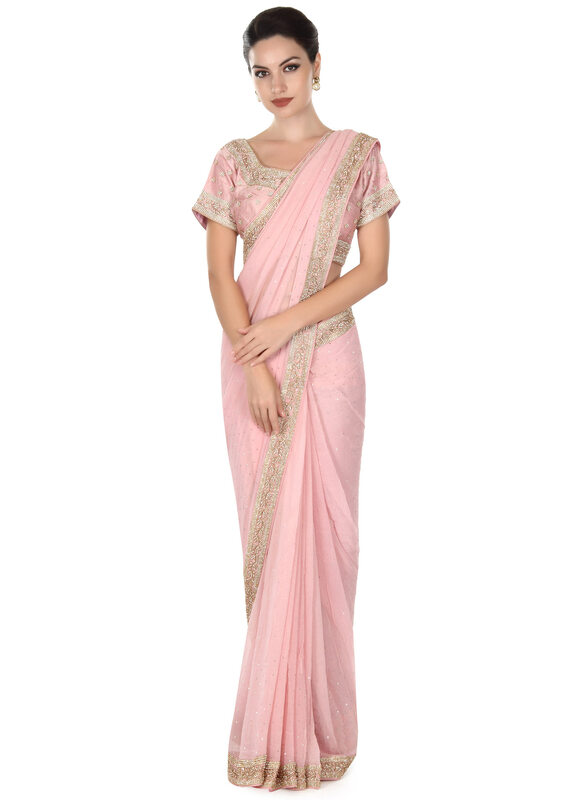 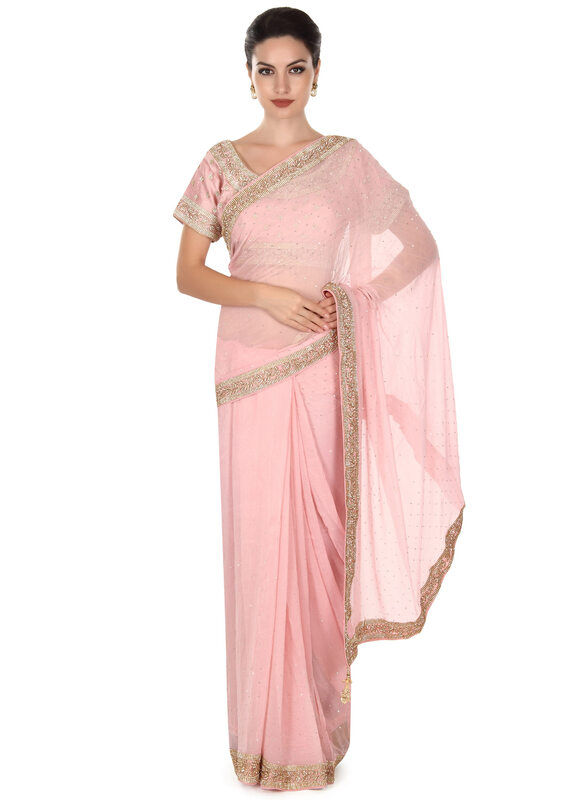 Pink saree in shimmer georgette. 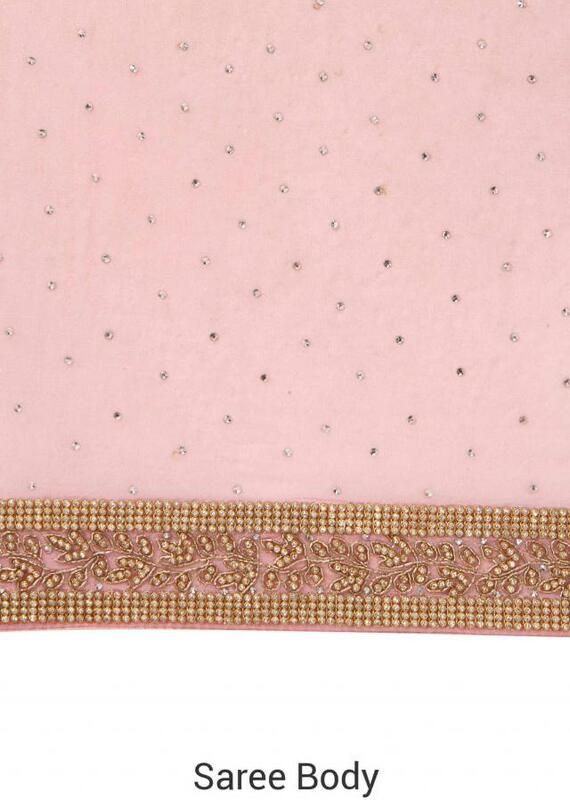 Border is embellished in kundan and zardosi embroidery. 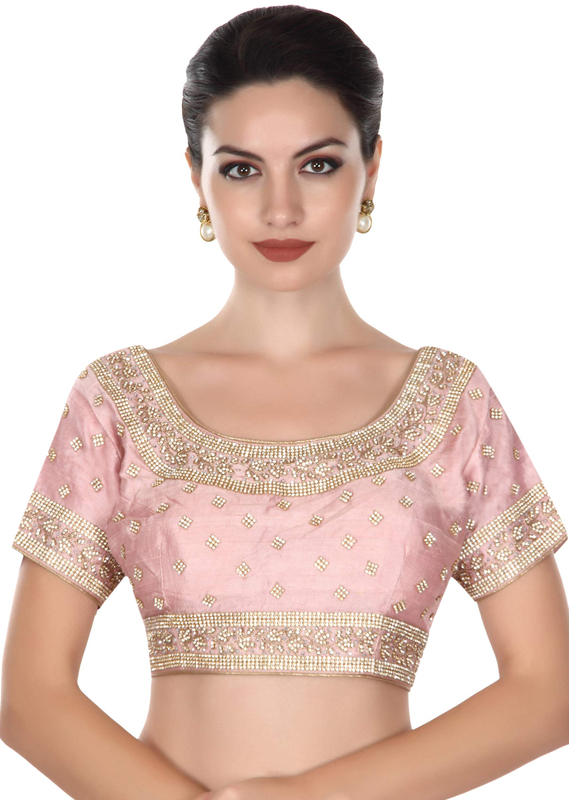 Matched with ready embroidered blouse in pink silk.